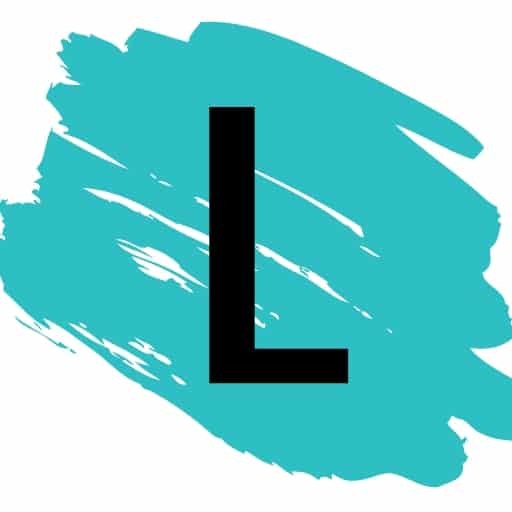 No more watered down drinks! 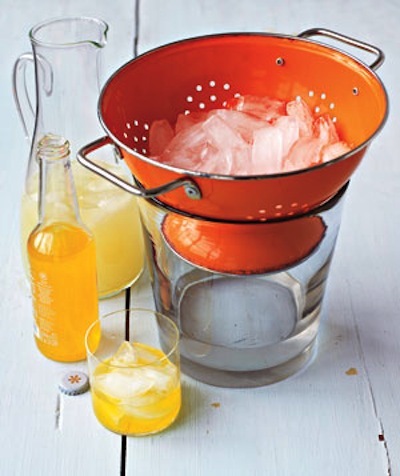 Now your party guests can scoop ice while the water drains through the colander into a bucket or bowl below. 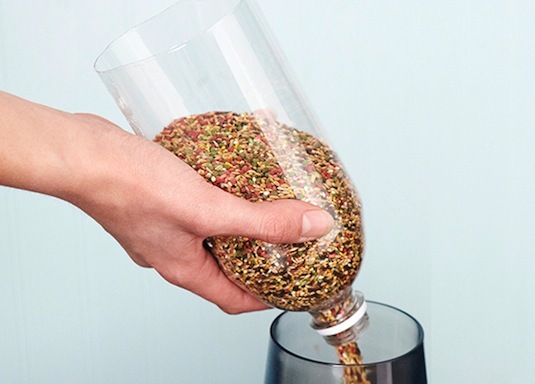 Save those plastic bottles and cut off the bottom to use as a funnel. This is so much better for filling the top of a small bird feeder instead of trying to get the bird seeds in there with that big hefty bag. Be sure to keep the lid so you can fill it, then remove the lid when you’re ready to pour. 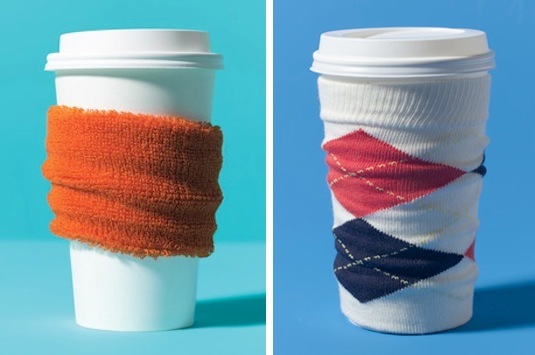 A wristband or the top of an old sock works just as well as a coffee sleeve at protecting your hands and fingers from scolding coffee. Why is it always SO hot in these cups?? The first sip scares me more than tofu hotdogs.